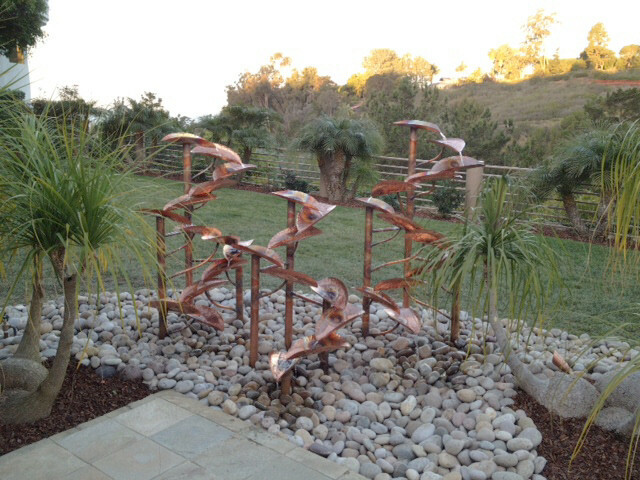 This fountain came about from a consultation with a client in San Diego. After hashing out several different possibilities, the client asked me if I could build my 6' tall Trilix fountain but without a basin.... Your wish is my command! Little did I know what they had in mind for my work. This is my first large fountain to be presented in a format with a hidden reservoir. I really like the way it looks and how it accentuates the "tree" elements of the fountain.